Hey, Chuck Bartowski, Jack Bauer is moving in on your girl! We have your first loook at Chuck’s Yvonne Strahovski teaming up with Jack Bauer (Kiefer Sutherland) for Fox’s new limited-run series 24: Live Another Day and it is a sight to behold. Chills on top of chills! The two have crackling chemistry—and spoiler alert, things get rough! And we would like the record to show that no one looks better at kick assery than one Miss Yvonne Strahovski. Her casting is so much win. Well played, 24 bosses! Also starring in this 12-episode event? Benjamin Bratt, Mary Lynn Rajskub, Tate Donovan and more. 24: Live Another Day was shot entirely on location in London, and focuses on Jack saving the day (duh), and the world (duh), because no one does it better (duh). The series looks even more slick and slightly more epic than the 24 of yesterseason, thanks to the bigger budget and impressive Londontown landscape. And…you know, Strahovski. 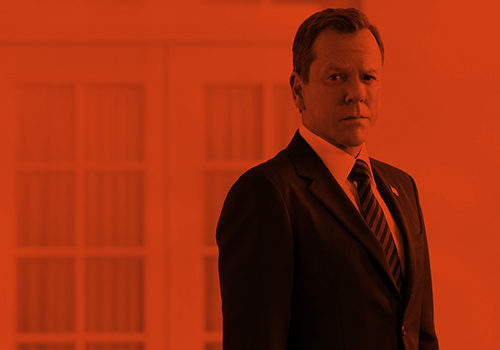 24: Live Another Day debuts on May 5 with a special two-hour premiere, and will air every Monday on Fox after that–until the day is done. This entry was posted by Courtney on Friday, April 11th, 2014 at 1:06 pm. It is filed under 24: Live Another Day, Videos. You can follow any responses to this entry through the Comments Feed.